THE problems of the Air India pilots seem to be lingering on and on. 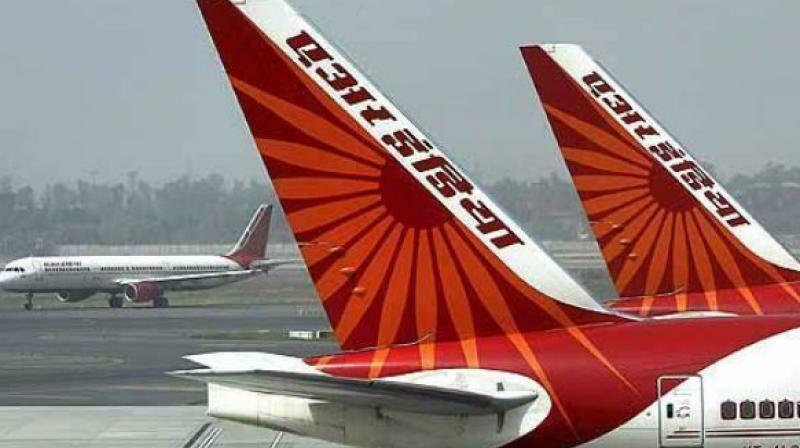 Writing to Air India on February 10, the pilot union of the company said they are yet to receive December's flying allowance, which consists of around 70 per cent of total salary. The pilots are working under "stressful conditions" that has "direct implications on flight safety", the union said. of flight hours they have taken in a month, say media reports. The unions told the airline that since they have not received the flying allowance, they have decided not to accept "changes in (duty) roster and will maintain CMS (crew management system) printed roster already issued for the month of February". "This is to ensure member pilots are not stressed further. Kindly note we are already working under stressful conditions as we are finding it difficult to meet our monthly financial commitments which has direct implication on Flight Safety," read the letter by the Indian Commercial Pilots' Association (ICPA) and Indian Pilots' Guild (IPG). Media reports quoting airline sources, say the monthly duty roster has to be changed at last minute if a flight crew member does not show up because of various reasons such as health issues. In such an eventuality, an employee on standby has to be called in as a replacement, they said. The unions' letter read, "While a majority of employees are paid their remuneration in full including non-flying top management, we, the pilots are yet to receive our Flying Allowance for the month of December 2018 which amounts to approximate 70 per cent of our total pay package." "This amounts to discrimination and unfair labour practice. Air India being the employer is constitutionally bound to treat all employees fairly and equally," it added. The ICPA represents the pilots who fly the narrow-body aircraft of Air India whereas IPG is the union of pilots who fly wide-body aircraft of the national carrier. "As informed earlier through our letter dated February 3, 2019, since Flying Allowance is not paid by 10th of February 2019, we are not in a position to take changes in roster and will maintain CMS printed roster already issued for the month of February," the unions' letter stated. The February 3 the unions' letter had stated that "if flying allowance is not paid by 10th of February 2019, we will not take any changes in roster and will maintain CMS (crew management roster) printed roster already issued for the month of February". The Air India had failed to pay to its over 20,000 employees on time for most of the months last year. Like other public sector enterprises, the airline is supposed to pay the salaries on the last day of the month.